Congratulations to Jeffrey Song! This past weekend, Jeffrey scored a 3.5/5, boosting his rating from 1582 to 1709! The high school Junior upset two 1800+ rated players and held a draw with an expert, making for what was surely a memorable weekend. For today’s Free Game Analysis, we will take a look at his crucial Round 4 win. If you would like me to analyze your game, send it chess.summit@gmail.com, and check back on Tuesday or Friday mornings to see if I chose your game to analyze! I worked with Jeffrey for two years back when I coached at the Maggie L. Walker Governor’s School. The team captain has gained 700 points since his freshman year. 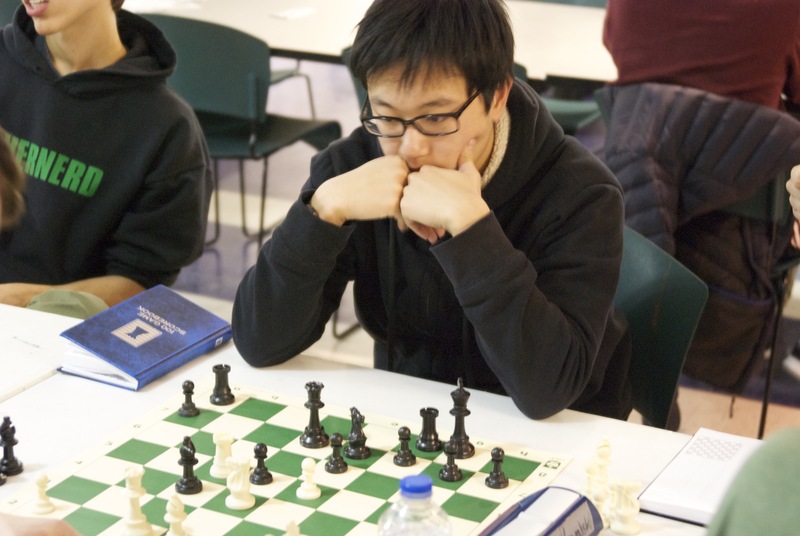 The Emporia Open isn’t known for strong (titled) players or its lucrative prize fund, but being one of the few adult tournaments in Central Virginia, it always makes for an interesting turnout. Let’s see what we’ve got. This was the fourth round of the tournament, and already, I think presented Jeffrey with a unique psychological challenge. Already 2.5/3 against much higher rated competition after the first day of play, it would have been really easy for him to rest on his laurels and play with less intensity, thinking that he had already “achieved” something. For those of you who remember my post on Akobian’s French, this is what Khachiyan chose at the 2008 World Open. Both 3. Nc3 and 3. Nd2 are becoming more popular, but the issue with this move is that the knight is susceptible to …Bf8-b4 ideas, pinning the c3 knight. I’m already not liking this move so much, perhaps it’s theoretical, but practically, it makes less sense. By opening the position, the pace of the game will be dictated by piece activity, but Black’s bad bishop on c8 will always be slow to join the fight. 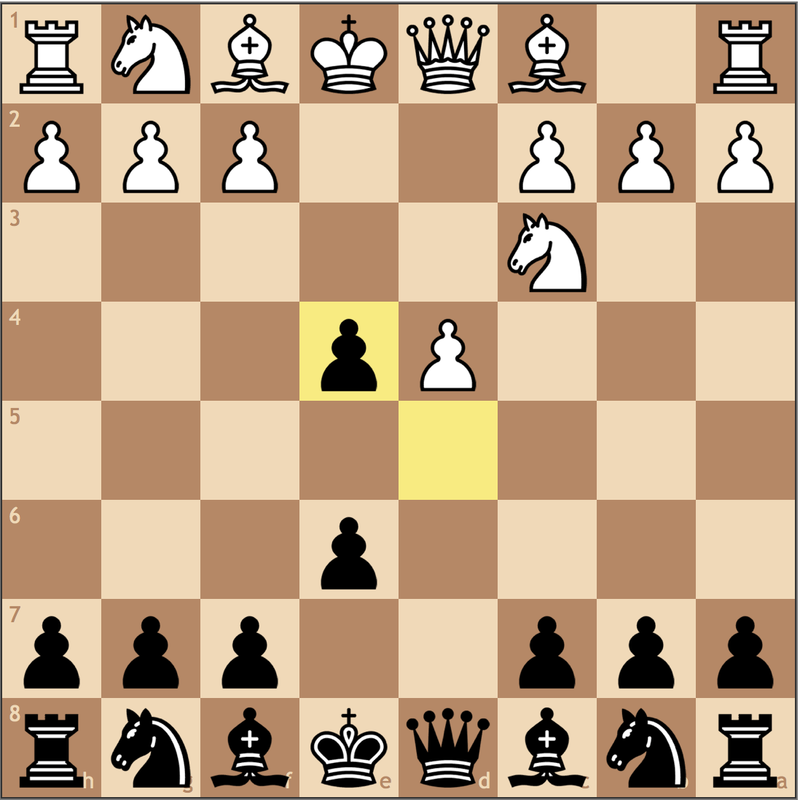 Knowing the principle “move your pieces as few times as possible”, gives us the most natural and popular move, 3… Nf6. 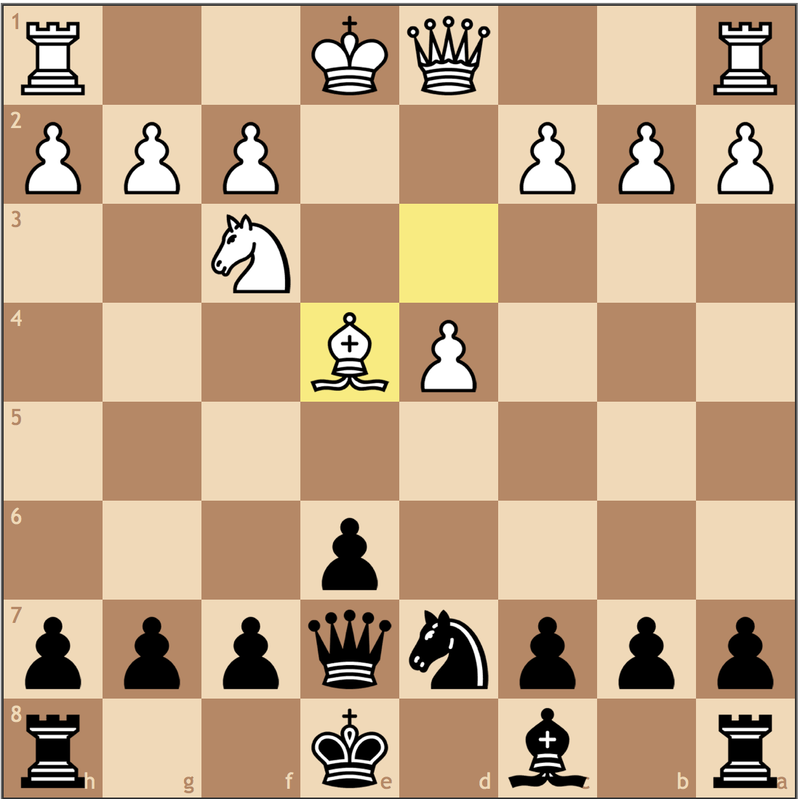 This move is natural as Black prepares to castle, but the move 6. Bg5 is a much more attractive alternative. 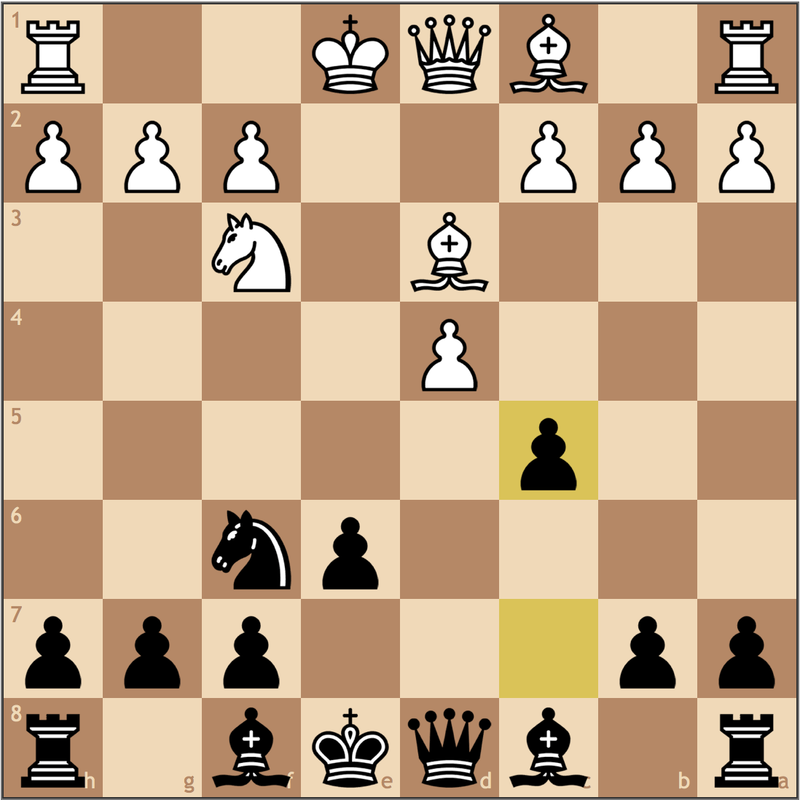 If you look at Black’s position for candidate moves, it’s hard to find moves other than …Nf6xe4. A move like 6. 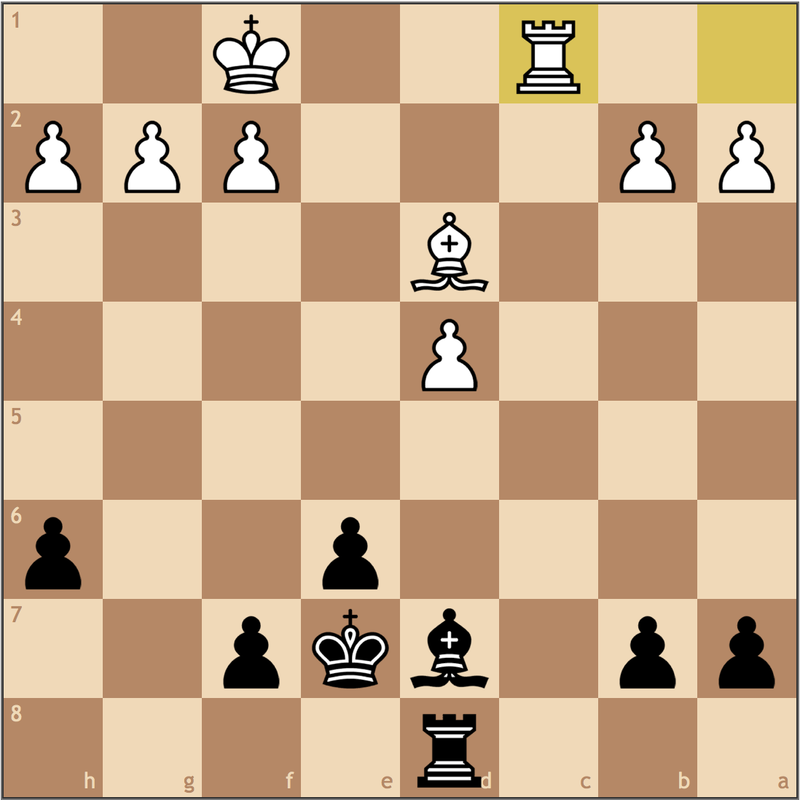 Bg5 would slow down Black’s play, giving more time to simplify. For example. 6. Bg5 Be7 7. c3 Nxe4 8. Bxe7 Qxe7 9. Bxe4 Nf6 10. Qd3 += (not 10. Bd3? Qb4+) and White maintains a small edge as Black has still yet to solve the problem of his bad bishop. Statically worse, Jeffrey takes a dynamic measure to try to get back into the game. Black’s idea here is to try to give White an isolani while simultaneously moving his c8 bishop to c6. Black is slipping. 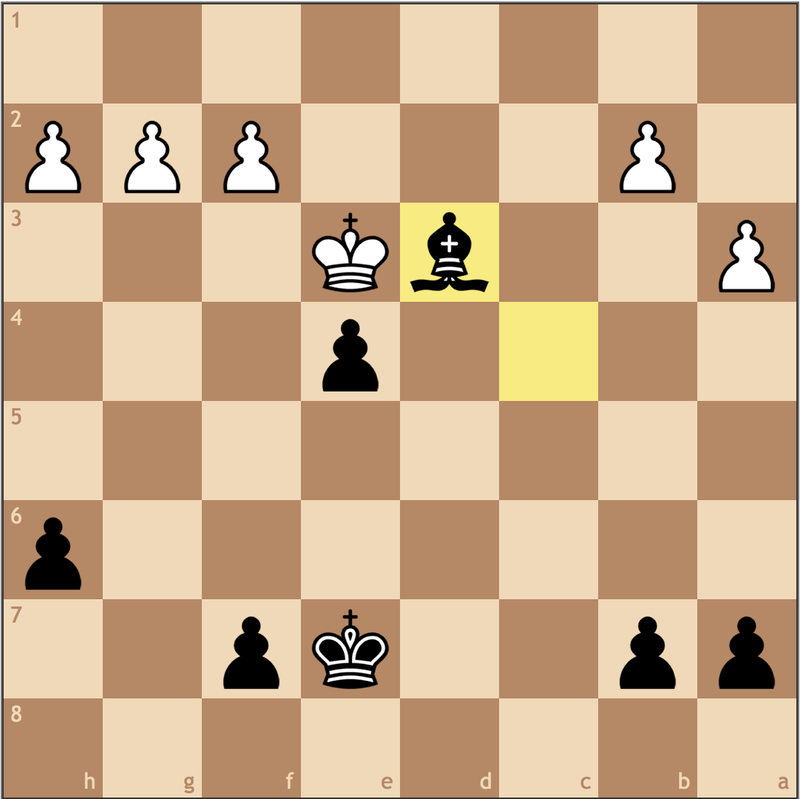 While this move isn’t a blunder, it doesn’t improve Black’s position. Two moves away from castling, Jeffrey ought to have been looking at …Bf8-e7 or …Qd8-c7 to get his pieces into the game. 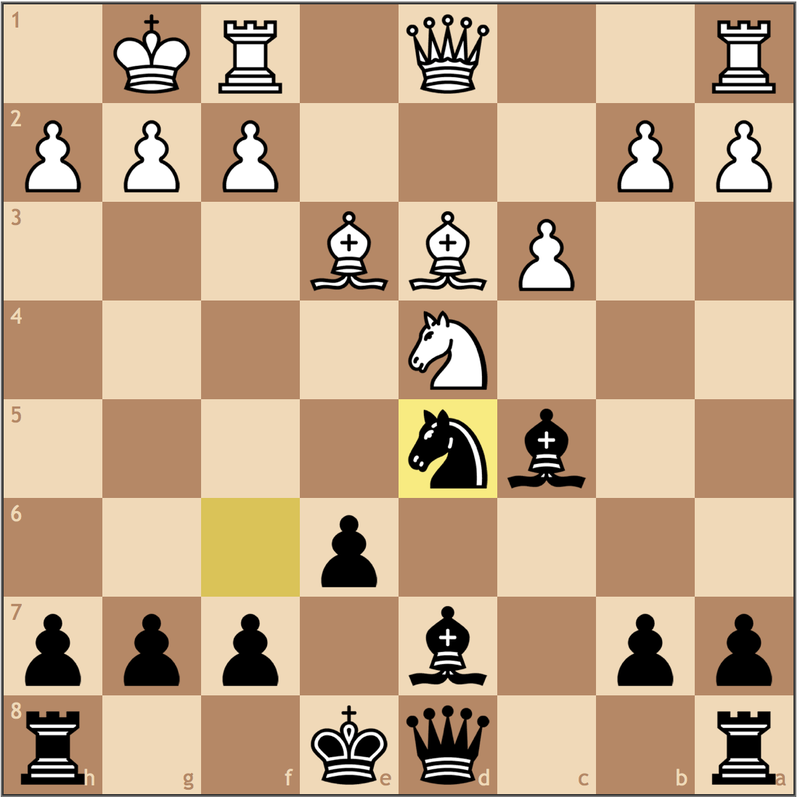 These problems are an exacerbation of the 3… dxe4 line and is why my main recommendation for future play is 3… Nf6. Giving Black no counterplay! 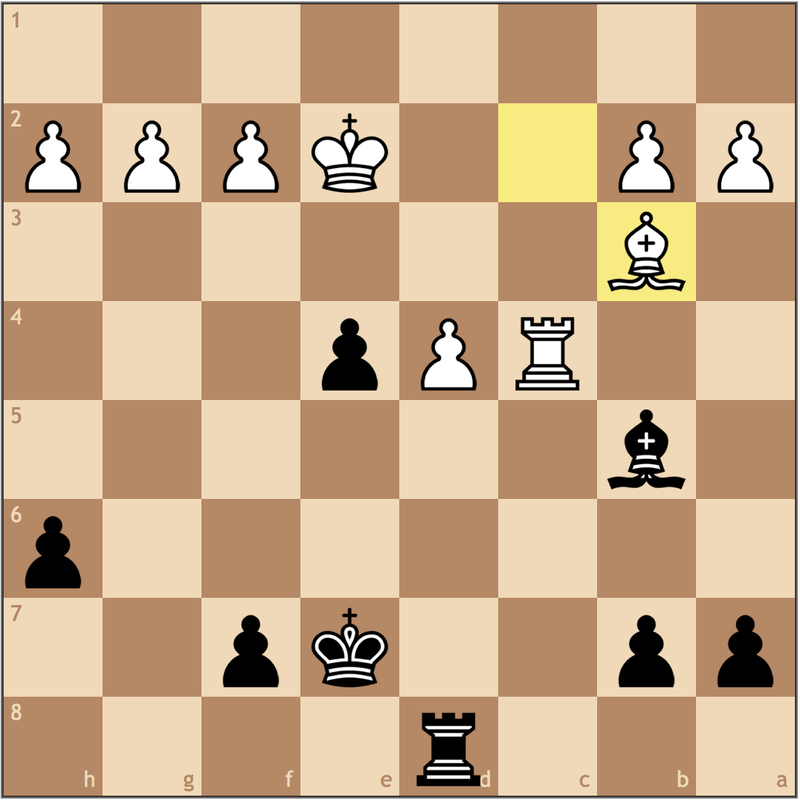 Black’s only hope was for White to give himself an isolated d-pawn to play against. 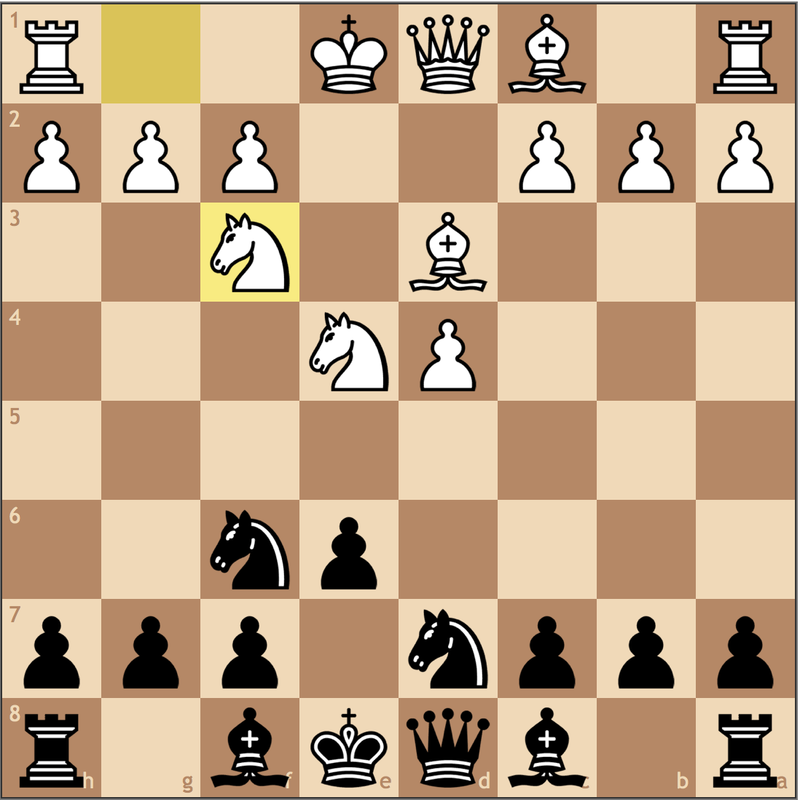 Here, by taking with the knight, White eliminates any structural weakness while also taking away the option of …Bd7-c6. A tactical oversight. 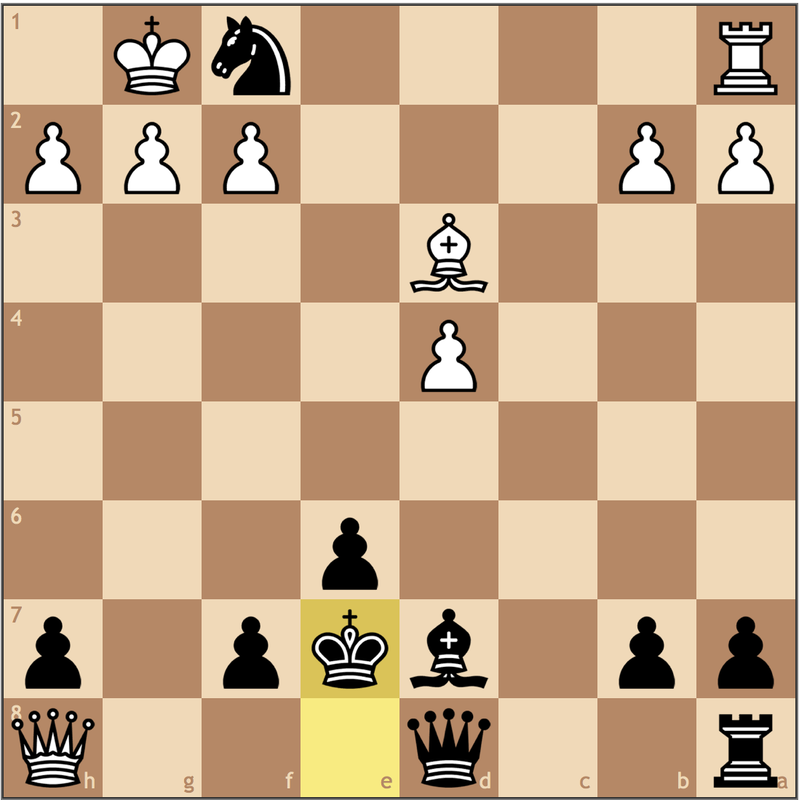 Already feeling behind positionally, Black attacks White’s e3 bishop with the hopes of creating a structural imbalance. 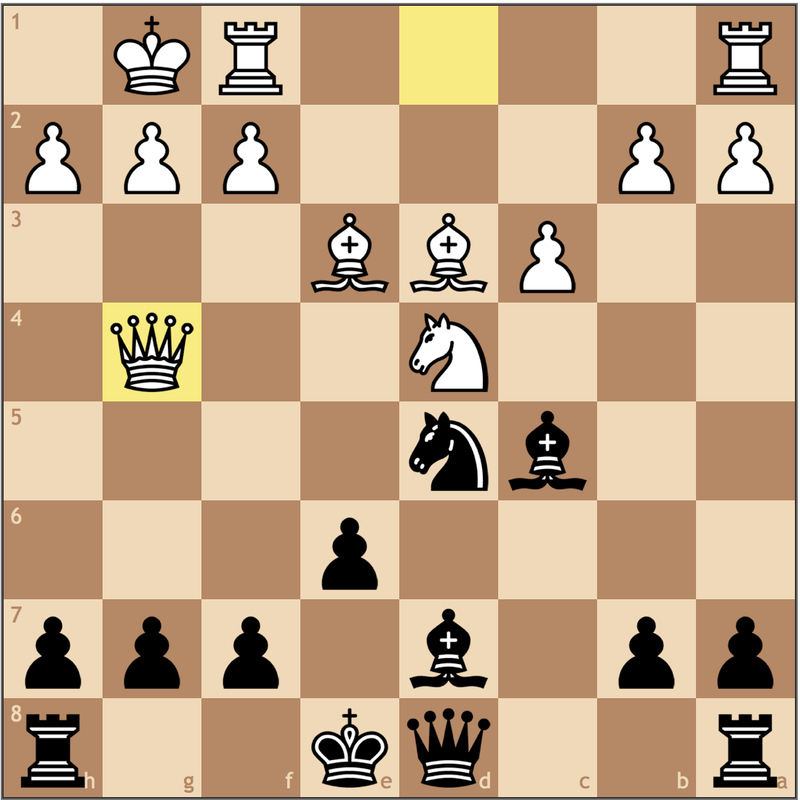 Black would have better off with a move like …Qd8-e7 or just …0-0 (thought that does feel courageous after Be3-g5). Hard to disagree with White’s play so far. A thematic move from the Winawer French, White takes advantage of the lack of an f3 knight. With his lack activity, Black must give up some material to survive. After the last few captures, White will be up a pawn in a same-color bishop and rook endgame where White has to be close to winning. 17.Qxd8+ Rxd8 18.Kxf1 h6 19.Rc1?! 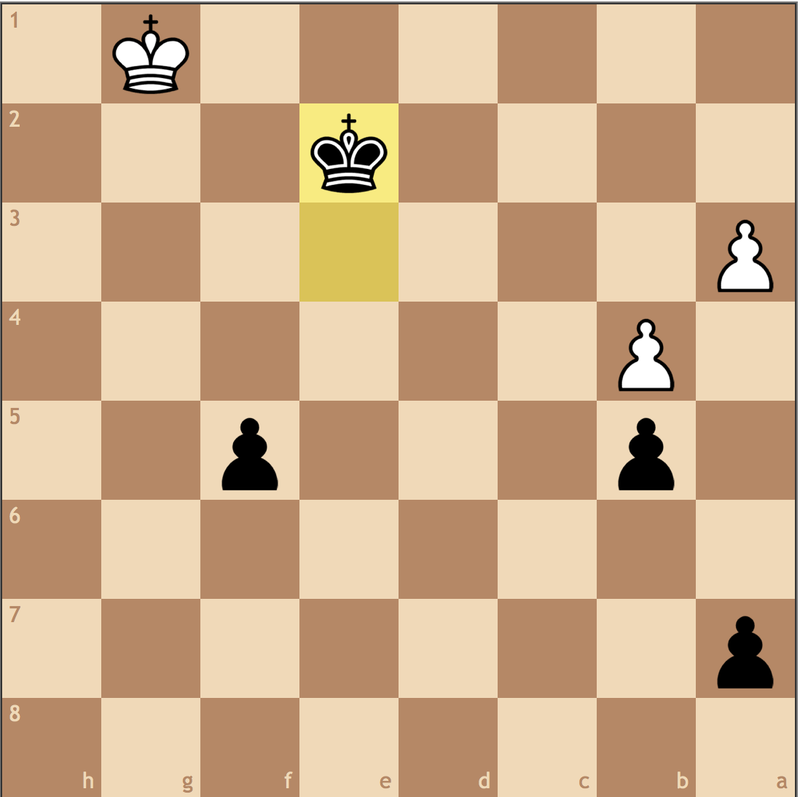 White’s first real mistake of the game. If you know the basic idea, “rooks belong behind pawns”, then a move like Rd1 is far more natural, ready to move the d3- bishop when the d4-pawn needs protecting. The method white used in the games complicated matters which actually cost him the game! 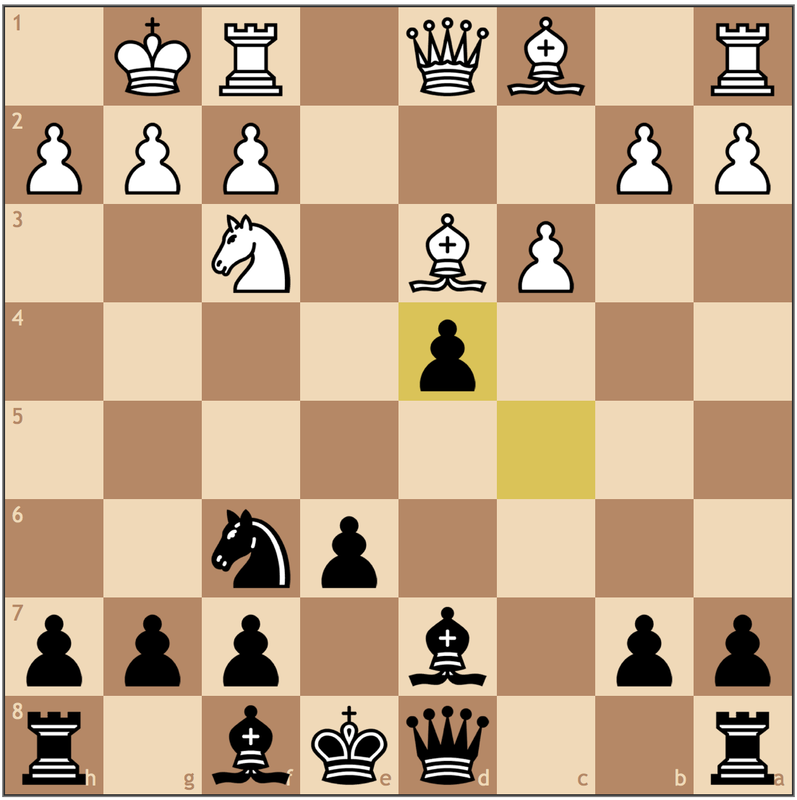 White must have felt awkward when making this move, vulnerable to tactical shots like …e6-e5 and … Bc6-b4. White should have been able to see this position from two moves ahead and realized that the final position is more complicated. Punishing White. White cannot take the pawn thanks to the pin, and must watch out for …e5xd4 creating a passed pawn. In an effort to salvage his position, White makes a horrendous blunder. Again, I’m forced to wonder how far ahead White calculated when playing this endgame. 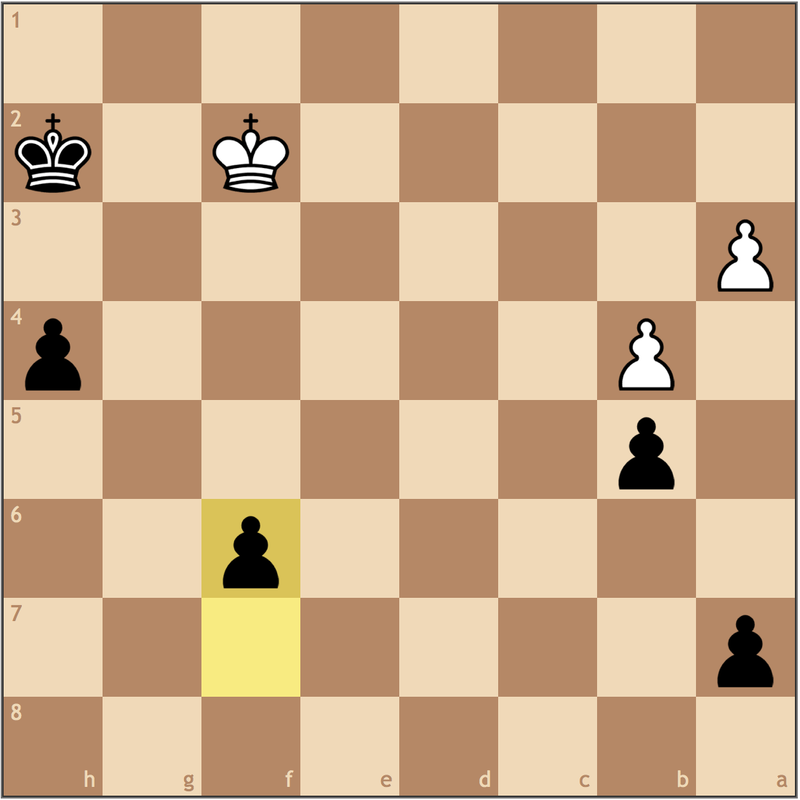 White’s move 21. Ke2?? was the only move on the board that loses considerable material. 23. b3 loses less material, as being down an exchange would have offered White more resistance than being down an entire piece. Let’s see Black’s technique. Already, the red flashing lights are going off again. While 27. f3 can be met by 27… f5, White can insert 27. g4 to play f2-f3 on the following move, at least making some gains in material. When you are significantly ahead, don’t make the game more complicated! 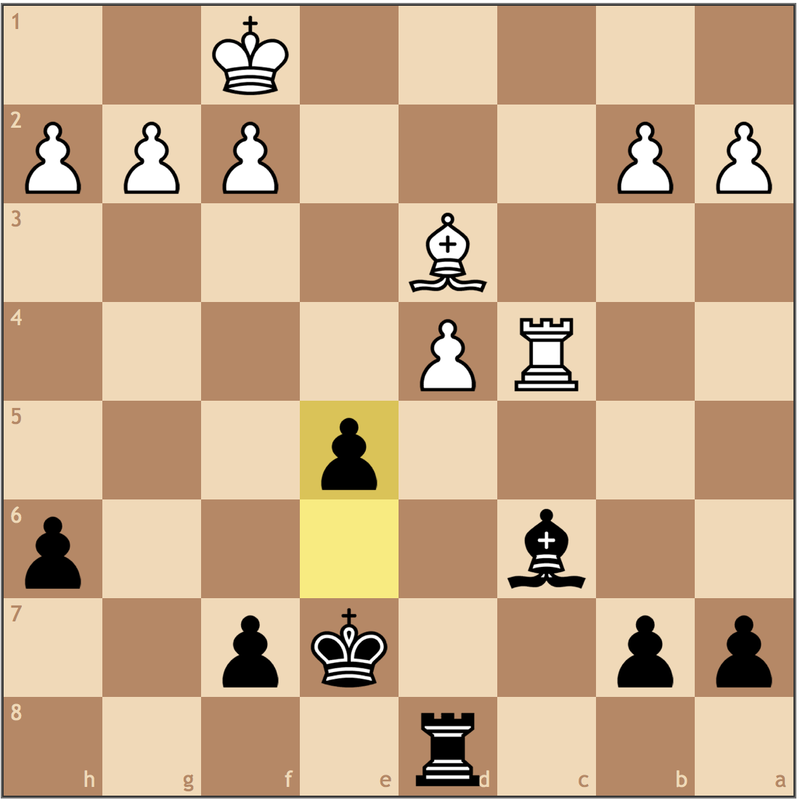 26… f5 and 26… Bd5 would have offered a much easier game for Black. 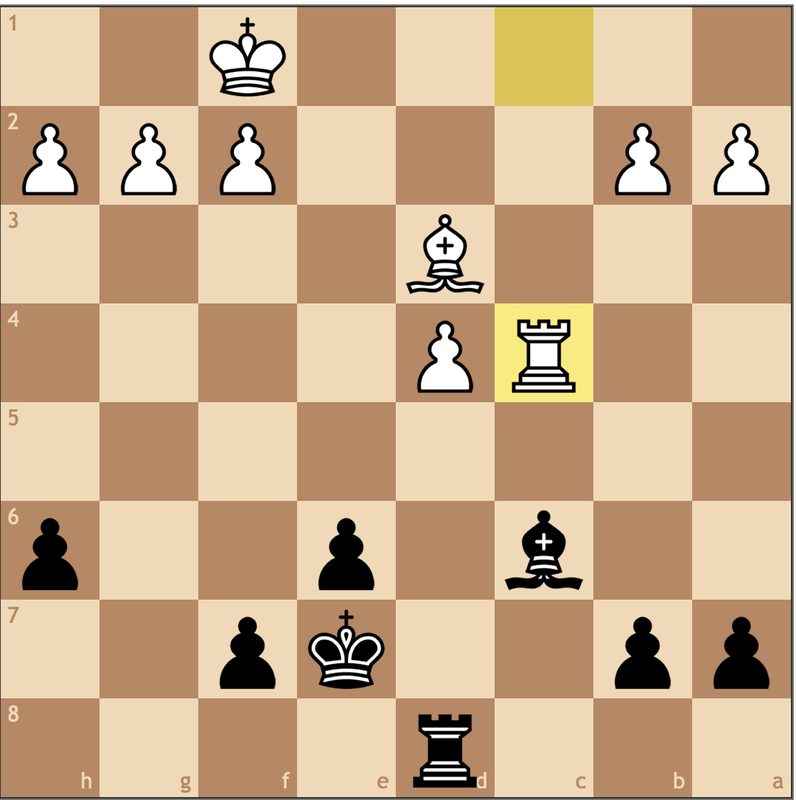 Even if Black had calculated a complete win, this move makes no sense. 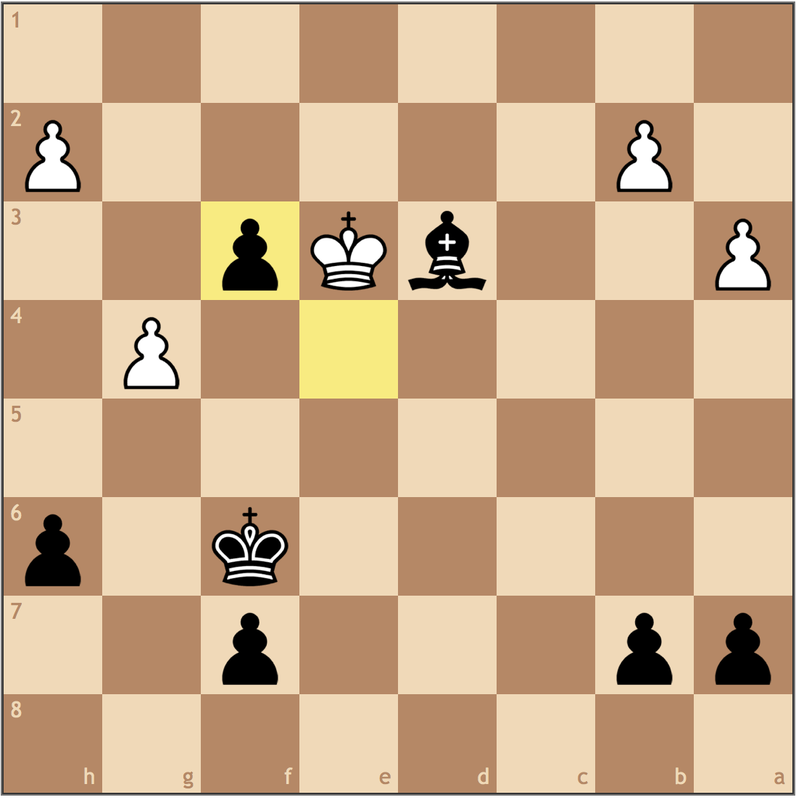 Already knowing that Black is winning, this move only risks losing the point. 28… Ke5 makes much more sense as after 29. f4+ Kd5 Black now has a passed pawn and more than enough time to reroute the bishop. 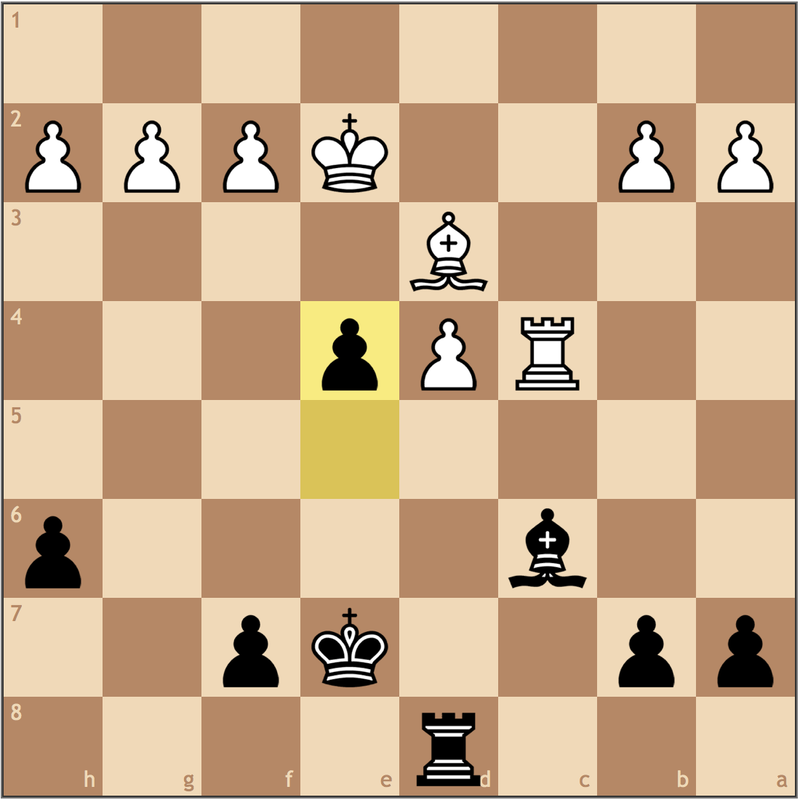 Black has achieved a winning pawn endgame, thanks to his pawn majority. Okay, this is winning, but 36… f5 takes away the g4 square for the king, thus making the h-pawn untouchable an the promotion faster. After some extra-curricular activities, Jeffrey finally found his way to the end-zone. The win put him at 3.5/4 with an opportunity to play for first place! A very hectic game, as both sides have a lot to learn from this performance. What are our takeaways? 1) The game is not over until it’s over. A cliche, but I think that sums up the dynamic of the game. This game was White’s to lose, and well – to put it simply – he lost it. If your opponent hasn’t resigned, that means he has no intention of losing, so you still have to earn the point. 2) Calculate don’t complicate! Both parties of guilty of this in this game as each side made decisions that made the game more difficult to win (19. Rc2 and 28…exf3). If you are winning, play to be efficient. The faster you win, the more energy you have for future rounds. Based on this game, I would recommend both players to practice technical endgames to make over the board games easier. 3) Know your openings! 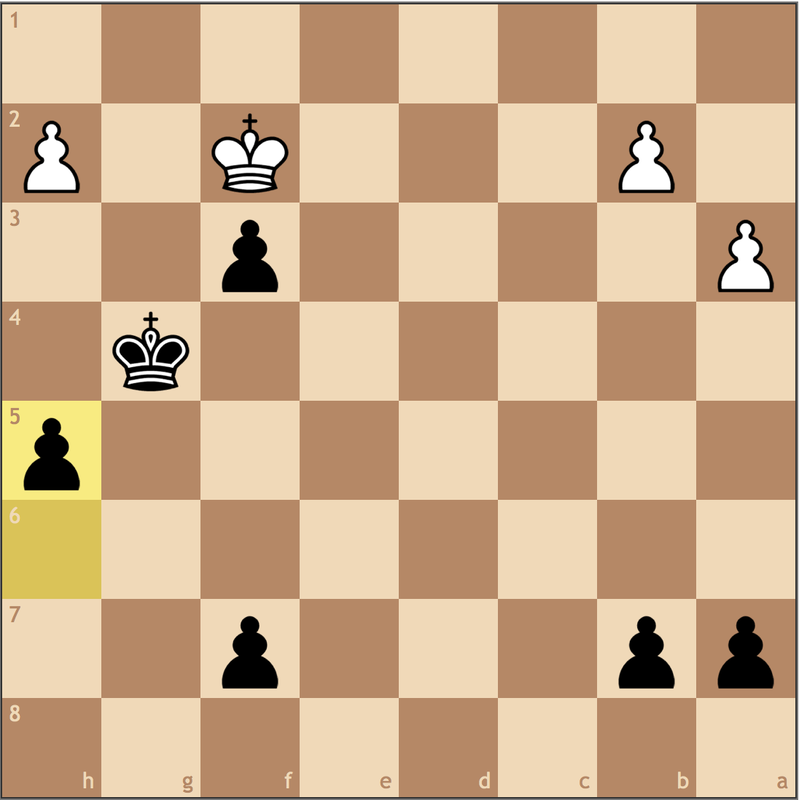 A much more subtle sub-plot in this game but White managed to get an advantage from 3… dxe4. If you want to make this move work, look up games in this line on ChessBase and see what you can get! Once again, congratulations to Jeffrey, as we hope to see more of your games in the near future! Very instructive article and game. I’m really enjoying looking at your free game analysis series! Yeah – I can agree to that extent, but as a coach, my advice to a 1500 rated player would not be to focus so much time on theory and equalizing in such a manner when they have other more important phases of the game to study. 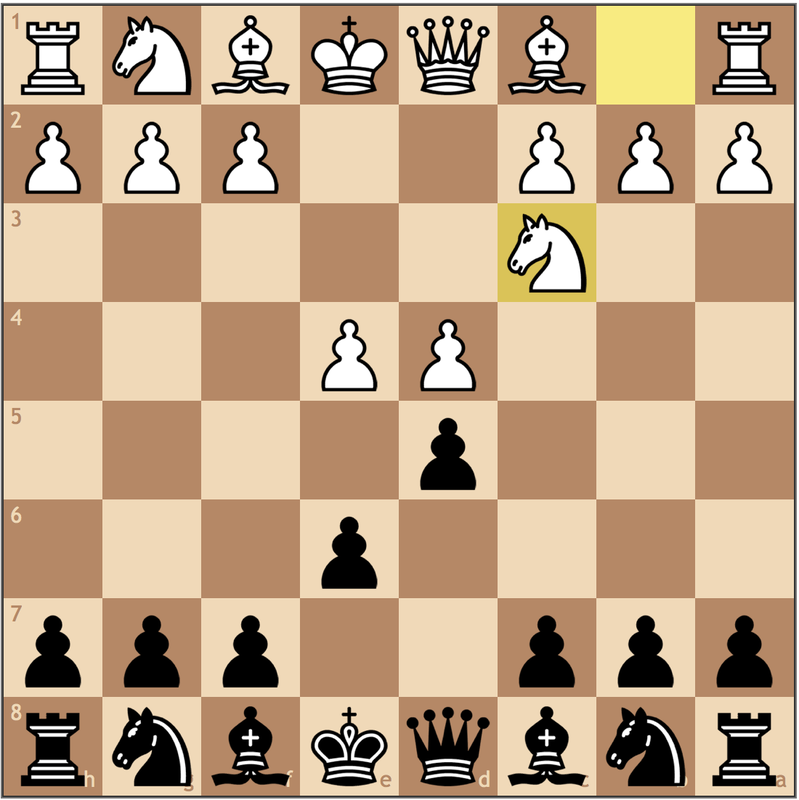 In hindsight, I probably could have found some GM games with this line to suggest, but my point was that Black is not fighting as well for the center, never mind his French bishop on c8. I think I remember you from the NY tournament at the Marshall Chess Club last summer, if you’d like to, I’ll let you write a guest post in the near future, either on this, or any other topic you please!